The following is detailed information pertaining to prerequisites to graduate study and degree requirements for graduate study at ISU CCEE. For a full list of graduate courses, visit Iowa State University’s course catalog. Options are also available for non-degree seeking students wishing to take graduate classes. The ISU Graduate College has collected information on application requirements as well as links where you can find further information. The prerequisites for graduate study in the various specializations within ISU CCEE. The degree requirements to pursue graduate studies of a master of engineering in civil engineering with/without specialization within ISU CCEE. The degree requirements to pursue graduate studies of a master of science with specialization within ISU CCEE. A concurrent bachelor of science/master of science (BS/MS) degree program is available to qualified seniors at Iowa State University. The ISU College of Engineering and the Ivy College of Business offer an integrated, concurrent program leading to a bachelor of science degree and master of business administration (B.S./M.B.A.) degree. The doctor of philosophy (Ph.D.) is an advanced, research-oriented degree that can be highly individualized. This 100 percent on-line degree program provides a unique blend of technical and managerial education that will help you solve problems and compete in the ever-changing construction environment. Listed below are the prerequisites for graduate study in the various specializations within the department of civil, construction and environmental engineering. They are minimum course requirements for holders of bachelor’s degrees. Equivalent courses may be substituted. If these conditions are not met, the student is required to remedy deficiencies by taking appropriate courses on a graded basis. These courses do not count toward a graduate degree. *Competency will be evaluated by testing, coursework or experience. Students with engineering degrees in other disciplines who will be emphasizing planning and/or traffic operations should check with the program of study (POS) committee. The plan of study requires a minimum of 30 credits hours of coursework, of which at least 22 graduate credit hours must be earned at ISU. This is a “coursework only” degree in one of two sub-options below. Please note: no graduate financial support, such as research and teaching assistantships, is available for master of engineering students; however, eligible students may use federal financial aid sources, as determined by the FAFSA, to pay for tuition and fees. Master of engineering students may specialize in civil engineering materials, construction engineering, environmental engineering, geotechnical engineering, structural engineering or transportation engineering. If you pursue the degree option with an area of specialization, the respective division graduate coordinator or major professor is from that area of specialization. Iowa State currently offers a 100 percent on-line construction engineering and management master’s degree program. This program provides a unique blend of technical and managerial education that will help you solve problems and compete in the ever-changing construction environment. Read more. If you pursue the degree option without specialization, the respective division graduate coordinator or major professor is from any area of specialization that make up the coursework. Graduate credits (equivalent to ISU B grade or better) received at another institution may be used toward the master’s degree program but are subject to the approval of the student’s program of study (POS) committee and the ISU Graduate College. As stated in the ISU Graduate College Handbook, “at least 22 graduate credits must be earned from ISU.” In addition, no more than nine credits earned in non-degree status as a graduate student may be used toward a graduate degree (nine credit rule). Research credits earned at another institution are generally not transferable. Master of science (MS) students specialize in construction engineering, environmental/water resources engineering, geotechnical/materials engineering, structural engineering, transportation engineering or intelligent infrastructure engineering. A student generally must take 15 credit hours (five courses) within his/her specialization. Graduate credits (equivalent to ISU B grade or better) received at another institution may be used toward the master’s degree program but are subject to the approval of the student’s program of study (POS) committee and the ISU Graduate College. As stated in the ISU Graduate College Handbook, “at least 22 graduate credits must be earned from ISU.” In addition, no more than nine credits earned in non-degree status as a graduate student may be used toward a graduate degree (nine credit rule). Research credits earned at another institution are generally not transferred. A concurrent bachelor of science/master of science (B.S./M.S.) 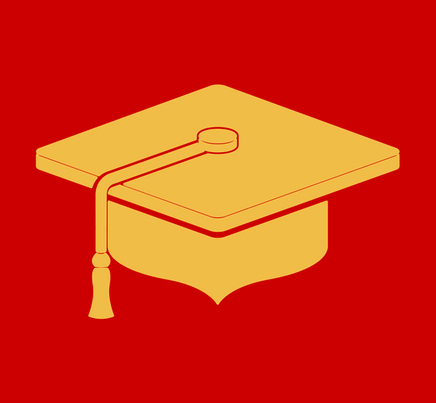 degree program is available to qualified seniors at Iowa State University. You also may be interested in the concurrent engineering/master of business administration program. The concurrent degree program may begin when the student is within the last 30 credits of graduation. Juniors and seniors interested in graduate studies should visit with a faculty member in their area of interest to discuss research and teaching assistant opportunities. The concurrent applicant must complete the Concurrent Enrollment for Undergraduate Student Wishing to Pursue a Graduate Certificate or Degree Form. 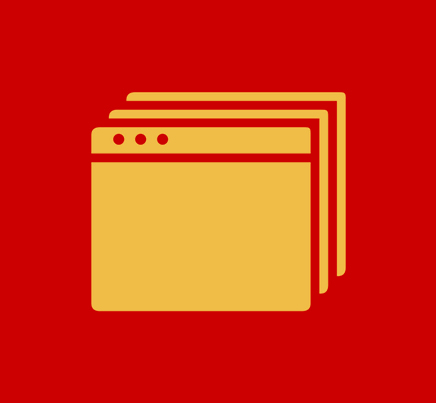 If you have trouble loading the file, go to the Concurrent Student Request Forms list. Fill out the top portion of the concurrent enrollment form and take it to the civil engineering or construction engineering undergraduate advisors, depending on your specialization. They will sign the form if the requirements have been met. Do not get the other signatures on the bottom half of the form. These signatures will be obtained later. Jun. 15 is the deadline to submit a concurrent application for the immediate fall semester. Oct. 15 is the deadline to submit a concurrent application for the immediate spring semester. A statement of purpose also is required stating why you want to be a graduate student in the specific specialization area and what you plan to do with your degree in the future. Also mention any work or research experience you may have. At the end of your statement of purpose include the names of the three people who are willing to write a recommendation letter for you. If your recommenders are in the CCEE department, you do not need to get a physical letter of recommendation from them. Listing their names will be sufficient. Applicants do not need to submit Graduate Record Examination (GRE) scores. Bring the concurrent enrollment form and your statement of purpose to the CCEE graduate secretary. She will give your form and statement of purpose to your specialization area for review. The departmental review process is similar to that used for all graduate students. The graduate admissions representative for the specialty area will review the application and submit the recommendation to the department’s director of graduate education (DOGE). The department DOGE reviews all division requests, seeks any needed changes and forwards the final recommendation to the ISU Graduate College. Usually the admission category for a concurrent student will be a full admission status. A concurrent student will not be admitted with restricted admission. Students accepted to the concurrent program should select a major professor from among the faculty in their specialization area to help develop a plan for completing the undergraduate requirements as well as guiding their graduate course selection. This plan is an unofficial document that is in addition to the formal program of study form that specifies the components of the graduate program. Students should take up to six credit hours of 500-level courses during their senior year that could count toward the B.S. and the M.S. degree. All master’s programs require a minimum of 30 credits. Students enrolled in the concurrent program are required to do a thesis or a creative component. All credits taken by the student will appear on the graduate transcript until the student has completed the courses required in the undergraduate program. At that time it is necessary to file a form to transfer the appropriate courses back to the undergraduate transcript. A graduate program of study (POS) committee to help formulate and approve the graduate program elements must be established no later than the second semester following admission. Students enrolled in the concurrent program are classified as graduate students and they may be appointed to graduate research or teaching assistantships, which pay a monthly stipend. These positions are typically quarter-time appointments, but may be up to one-half time. It is up to the student to check their financial aid package because under new federal regulations, being a graduate student may affect your undergraduate financial aid package. For the purpose of tuition assessment, research and teaching assistants are considered at the in-state tuition rate. In addition, the tuition is reduced by one-fourth to one-half of the assessed tuition, depending on the assistantship appointment rate. Graduate teaching and research assistants are eligible for additional benefits, including a free single student health insurance coverage. Graduate students receive registration priority. The department provides students who are on appointment a desk work space in one of the graduate study areas. Because seniors with a research assistant appointment begin working with graduate faculty on research projects, which may become the foundation for the master’s thesis, the overall time to complete both degrees may be reduced. Students in concurrent degree programs may apply, subject to program of study committee approval, up to six credits of major or non-major graduate credit courses used to fulfill the requirements for a bachelor’s degree to a master’s degree program of study. A summer research internship and coursework following the junior year is advised to meet an early graduation schedule. Candidates for this degree must complete a minimum of 72 credits of acceptable graduate work, including dissertation research. Dissertation research must account for at least 16 credits. 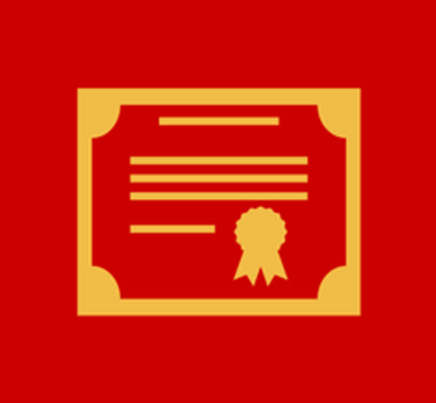 Applicable graduate credits received from Iowa State University for the master of science degree can be included as part of a doctor of philosophy program, subject to approval of the program of study (POS) committee. Graduate credits received elsewhere may be included in a doctor of philosophy program subject to the approval of the student’s POS committee and the ISU Graduate College. At least 36 graduate credits, including all dissertation research, must be earned at ISU. Research credits for M.S. degree earned at ISU or at another institution are generally not transferred. Hours: 8:00 a.m. – 5 p.m.